Great Tech Products That Cost Less Than $500! Everyone knows how to define a “traditional” college student. They’re just out of high school and these young adults begin the next phase of the education at a four-year college. When you get into the realm of the “nontraditional” is when it gets a little strange. This is a person that defies definition. There is no single demographic and are made up of parents, military personnel, veterans, and almost anything else you can think of. Though they have no singular model or approach, they are changing the landscape of education across the country. Back in 2005, U.S. census date estimated that there were around 12 million nontraditional students enrolling in various colleges across the country. This number has shot up drastically and many are attributing this to the collapse of the economy. When millions of Americans were laid off, they found a much harder time finding a job in an economy flooded with qualified applicants. Going back to school, for some, was the only option. Others found lucrative opportunities by getting their medical billing or Medical Assistant Certification. It wasn’t for one reason or another. There were myriad factors in play, which has prompted many schools to focus more resources on developing programs to placate the needs of the nontraditional student. These nontraditional students make up a large portion of the community and schools, like any business, want their money and colleges are willing to do a lot to get them in the door. For example, around 60 percent of colleges and universities offer on-site day care for those parents who want to care for their child but not have to sacrifice their education to do so. Many schools also work closely with military personnel to meet their special needs. One thing is for sure, nontraditional students are getting schools to bend over backwards to accommodate their lives, and it’s working. For millions of students, going online is far easier because it reduces the requirements for people to be in a specific place and time. 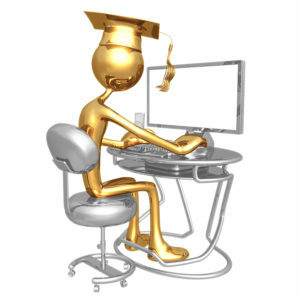 Online degrees from colleges such as Utah College have become commonplace to day but this hasn’t always been the case. There was a certain amount of stigma placed on them because they were seen as less credible but as the number of people entering the job market with online degrees increased, employers had to stop and take notice. They’re simply a way in which people can get a degree that is geared for people that have great demands placed on them in their daily life. This has in turn foster an increased focus by colleges towards increasing their online programs. The introduction of nontraditional students into the classroom has shown colleges and universities that diversity comes in many forms. This doesn’t simply apply to race but socio-economic positions as well. They’re widening the diversity of campuses and broadening the concept in general. They are an eclectic and ambitious group that demand relevant and rigorous programs and forcing schools to look at themselves and how effective their services are. It’s not likely that nontraditional students will replace the traditional any time soon. But the numbers are shifting in a big way. Today, and in the future, you can’t get by in the country with a high school diploma. You need some form of higher education to have a successful and fulfilling life. So it’s not likely that this trend will fade away.